Well now this is interesting. 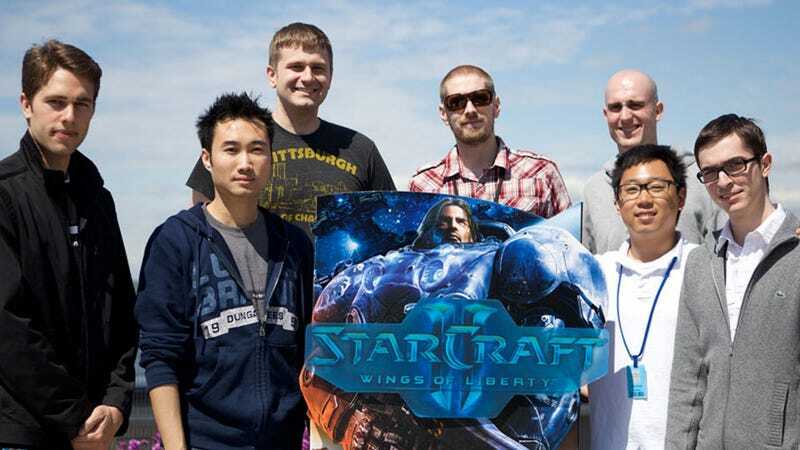 Sean "Day" Plott, who we've featured here before on Kotaku, has helped put together a StarCraft II tournament. Only, instead of it being man versus man, it's company versus company. And the companies are big ones. Inspired by an internal Facebook competition, the "After Hours Gaming League" is billed as a "corporate sports league", and will feature teams of twelve made up of employees from some of the biggest names in technology and internet business, like Microsoft, Facebook, Zynga, Twitter, and Amazon. They're playing for money—the winners get $5,000 from Day and crew—but that money will be donated to the winner's charity of choice.